First wash fresh Lobsters. Then Cook and pick your lobsters. Put chicken in a large pot, add the stock, cover and bring to a boil. Reduce heat to simmer and cook for 30 to 35 minutes. And in a large saucepan, now add olive oil and cook sausage over low-medium heat. Then Cook until no pink remains in the center, 15 to 20 minutes. When cooled, slice the sausage into 1/3 or ¼ inch thick slices. And add the vegetables and seasonings to the olive oil left in the saucepan and saute until the onions are translucent and veggies are soft and boil. Add the chicken, sausage, and sugar to the veggie mixture and simmer for 30 minutes. Add the lobster meat and let heat through. 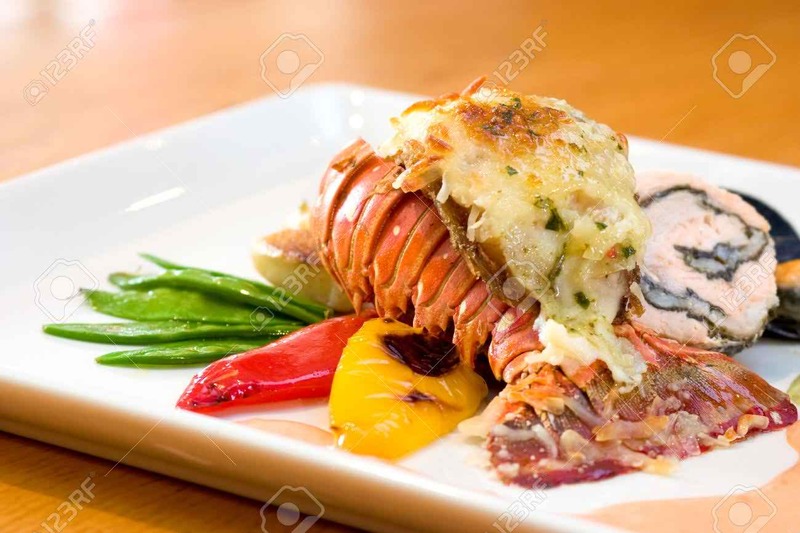 The “lobster recipe” is ready to serve with any fried rice, lemon or paratha.